The Australian Securities and Investments Commission (ASIC) has updated its blacklist to include Brighter Trade, which is also known as Igoten OU. The financial regulator was alerted to the firm after it made unsolicited calls or sent emails about investing, financial advice, credit or loans. 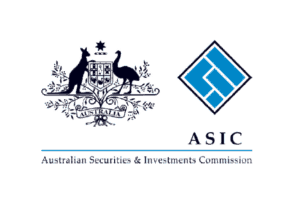 The Australian Securities and Investments Commission (ASIC) is an independent Australian government body that acts as Australia’s corporate regulator. ASIC’s role is to enforce and regulate company and financial services laws to protect Australian consumers, investors and creditors. The broker Brighter Trade operates through the website www.brightertrade.com and offers a choice of various financial assets such as currencies, stocks, indices, commodities. The website is owned and operated by the Brightertrade™ corporate group. The group includes LOGAMET LTD, a St. Vincent & Grenadines company, owner of the website and INGOTEN OU, an Estonian company, who operates the clearing and settlement for the group. The Australian regulator has warned that the broker does not hold a current Australian Financial Services (AFS) license or an Australian Credit license from ASIC to provide financial services in Australia, highlighting that the company could be involved in a scam. The broker doesn’t seem to be regulated by any authority and the offshore location of one of the co-companies doesn’t make it look more reliable. In addition, the broker has got a lot of negative reviews, where people complain about issues with withdrawing their funds and cold-calling. To sum up, it is better to stay away from Brighter Trade, a broker that has a warning and also a quite big number of the negative review from the traders who was scammed by this firm. We recommend selecting among brokers licensed by the respective authorities in the UK, or Australia for example. For instance, a broker registered with the UK’s FCA can’t simply take investor’s money and disappear. They follow multiple reporting procedures and have to keep client funds segregated from the company’s.